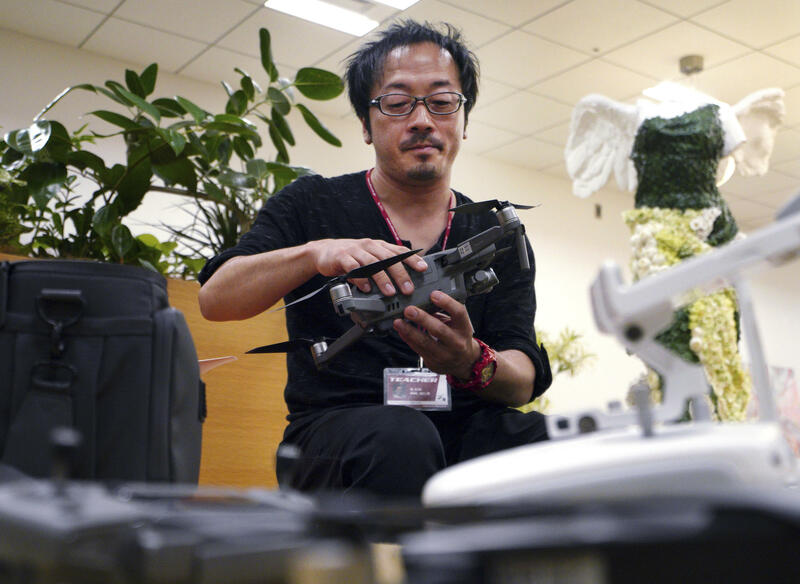 TOKYO, Japan -- Electric drones booked through smartphones pick people up from office rooftops, shortening travel time by hours, reducing the need for parking and clearing smog from the air. This vision of the future is driving the Japanese government's "flying car" project. Major carrier All Nippon Airways, electronics company NEC Corp. and more than a dozen other companies and academic experts hope to have a road map for the plan ready by the year's end. Ebihara, the flying-car chief at the Ministry of Economy, Trade and Industry, says Japan is on board for "Blade Runner" style travel - despite its plentiful, efficient and well developed public transportation.